Of the thousands of photos in my phone one I return to time and time again is of a single rose planted alone in dry soil on a parched farm in Zimbabwe. I was walking with a group from farm to farm back in 2007 – somewhere near Gweru in the Midlands Province – and listening to stories of political oppression, fear, suspicion and hope. There was no water in town (the pumps had all broken), you couldn’t get fuel, and inflation was then at only 10,000%. Later in that trip I found myself misrepresented all over Zimbabwean media, we had problems with the secret police, and we strengthened our ties to the Church under pressure there. That rose, watered regularly, surrounded by aridity and barrenness, spoke of defiance, of hope, of a future. Zimbabwe was always a very beautiful land. Under Robert Mugabe it had been transformed from the breadbasket of Africa into what some have described as a basket case. Yet, no one seemed to know what to do about it. People repeatedly expressed ‘hope’ that something would change; but, few seemed ready to be the agents of change. It was all too paralysing, too threatening. It seems a long time ago. Mugabe has retired, so to speak. Emmerson Mnangagwa has led the country into elections that appear to have been free and fair, but has been challenged by opposition parties. It looks like Mnangagwa has won a majority of seats in Parliament, but this doesn’t necessarily mean that he will continue as president. The question my Zimbabwean friends will be asking, of course, is whether the future will be bright … or a further disappointment. And this is where hope comes in. Hope is not the same as wishful thinking. Hope for many Zimbabweans was what kept them believing that freedom would one day come. For others, it was what motivated them to put their lives on the line in order to make change happen. For neither was it entirely cost-free. Standing by the rose near Gweru I remember hearing the words of Isaiah 40 from the Hebrew Scriptures: “Comfort, O comfort my people,… she has served her term, her penalty is paid.” It is always hard for people to hear words of comfort when the evidence of the reality around them is so bleak. But, biblical hope was never fantasy. Rather, it was always about defying ‘reality’ and being drawn by a vision of how the world might be – even when the so-called realists around you just keep saying, “the world isn’t like that”. And it has always meant getting stuck in to the world as it is. That single rose is an emblem – an investment in the future. We will have to wait and see if Zimbabwe’s rose will continue to bloom in the new world. Zimbabwe: the end of a world? 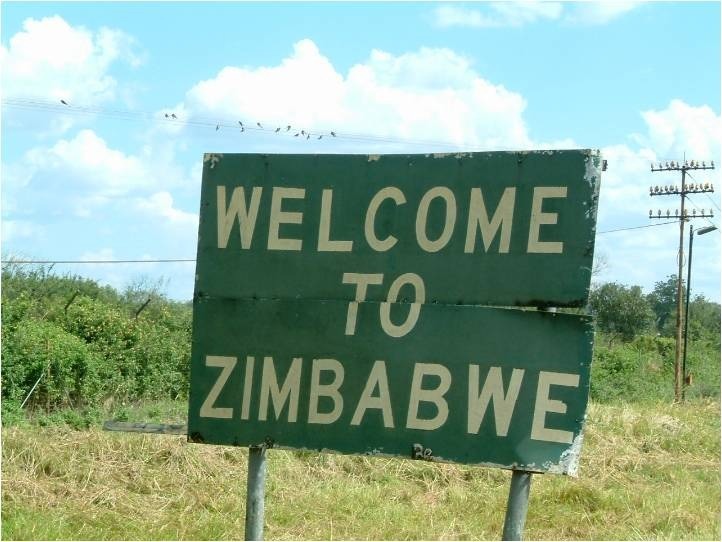 Between 2004 and 2009 I visited Zimbabwe a number of times. The first visit exposed me to some of the realities and challenges of a beautiful country that Robert Mugabe and ZANU PF were turning into a nightmare. By my final visit inflation was around 10,000%, unemployment was sky high, and the bread basket of Africa had become a basket case. I visited because the Diocese of Southwark (where I was the Bishop of Croydon) had longstanding partnership links with the Anglican dioceses in Zimbabwe. Croydon was linked with Central Zimbabwe, and I developed a friendship (based on huge admiration) with the Bishop, Ishmael Mukuwanda. I posted on this blog many times from and on Zimbabwe – simply put it in the search box and loads should come up. So, watching the news now is heartening to an extent. At last, action has been taken to rid this country of its liberating tyrant and his Lady Macbeth wife whose name – Grace – is not matched by her character. It is no wonder that thousands of people are celebrating in the streets and that the Party is thought to be ready to dismiss Mugabe as party leader tomorrow. There can be no going back. But, to what might the country be going forward? This is the hard question. It is easy to celebrate the end of Mugabe’s reign; but, what will now follow? Freedom from is not the hard bit; freedom to or for demands far more. Ten years ago I was clear that the key to Zimbabwe’s future had to be the reestablishment of the rule of law – not just any law, but law as internationally recognised. Without the rule of law, nothing could be relied on. And, yet, now, we see the dethronement of Mugabe … but only by his own party. The same party will appoint a new leader, and this leader will continue the rule of ZANU PF. It will take someone brave or reckless to bring democracy back to Zimbabwe; in the meantime, Mugabe’s departure will not change much at all in terms of who is in charge, how they will run the country, and whose interests will be protected. Clearly, today is for celebrating an ending. But, tomorrow will bring a beginning. And that beginning will probably be a continuing of what has gone before. It is too early to celebrate a new world for the wonderful people of this wonderful country. What we can be sure of, however, that the Anglican Church, with all its fallibilities and fragilities, will keep on plugging away imaginatively and creatively, serving communities and people in quiet, unsung ways, silently tilling the ground for a harvest they believe will one day come. There we were, thinking the Anglican Communion was all about conflict and tension, scrapping and bitching, and someone has to spoil it by telling a different story. Where’s consistency when you need it? I am in Oxford for the annual meeting of all the bishops in the Church of England. It might surprise some, but what we see and hear here blows a mighty wind through some of the preconceptions we assume to be normal. For example, Chad Gandiya, Bishop of Harare in Zimbabwe, describes movingly how his dispossessed and oppressed people are resiliently growing the church through heroic witness to Christ and a rejection of violent resistance to the Mugabe police state. The Anglican Church in Zimbabwe – a place where the rule of law is an idea soaked in fantasy – faces enormous struggles in the face of unjust and often violent state action; but, they refuse to bend to the pressure to deny Christ. Furthermore, they depend on the solidarity and prayer of Anglicans around the world: they know they are not alone and are not abandoned. In this place of oppression Anglican Christians have no option but to focus on what matters and not be sidetracked by other stuff (matters that preoccupy those of us who do not have enough to do). And they know how to rejoice when the pressure is on. Their song won’t be silenced – and we sang it with them this morning. Listening to Chad, whom I last met up with in Harare, I was conscious of the importance of the strong and unique links between the Diocese of Southwark and four dioceses in Zimbabwe (the fifth, Harare, is linked with the Diocese of Rochester). 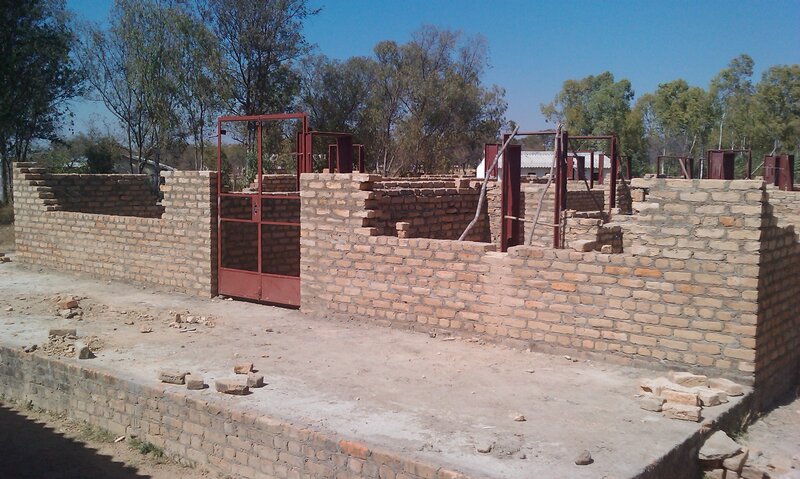 And although my new diocese, Bradford, is linked with dioceses in Northern Sudan, Zimbabwe is seared into my heart. Chad was followed by the Bishop of Peru who described a very different context for Christian discipleship and ministry. The contrast was striking. South America is a different country (if you see what I mean) and the outworking of Christian faithfulness and witness is necessarily different. Working with very poor people, the Anglican Church there (and in other parts of the Southern Cone) is deeply rooted in soil that refuses to separate discipleship from social action and pastoral care. Bishop Wolfgang Huber was the Protestant Bishop of Berlin-Brandenburg and Chair of the Council of the EKD until his retirement a couple of years ago. Since then he has been deeply involved in national ethics bodies, writing and lecturing, and doing public theology in and through the media. He was the inspiration behind the courageous launch of a decade of reform for the EKD which will culminate in 2017, the 500th anniversary of the birth of the Reformation in Wittenberg. This has meant a sometimes reluctant church facing the reality of a changing world and asking hard questions about form and substance. The point I am making here is really simple. There is no such thing as ‘discipleship’ that isn’t worked out in a particular context. And the context dictates the shape and priorities of that discipleship. Which is why the realities of particular contexts often generates tensions with those whose context is different: Africa is not America is not Germany is not England. Which brings us back to the point the Archbishop of Canterbury made, following the model of Jesus himself (compare Matthew 5 with Matthew 10): disciples are first learners (incompetent) who are called to take responsibility (growing competence) and create the space in which other people can then learn and grow and take responsibility and so on. But, the learning demands the humility of listening and not imposing my own contextual complexion on those for whom this might not be immediately appropriate. In other words, we stand back and look and listen and learn about what it means to be the Christian Church in Zimbabwe or Peru or Germany or England. And what is revealed can be enlightening, challenging, disturbing and encouraging at the same time. In brief, the former Bishop of Harare, Nolbert Kunonga, went bad and eventually was ousted as Bishop of Harare seven or eight years ago. He is no longer regarded as an Anglican, let alone a bishop. He was specifically not invited to the Lambeth Conference in 2008. However, he has continued to use the favour of Robert Mugabe, the courts and the police to pursue ownership and possession of the churches, houses and assets of the Church in Zimbabwe. All this despite the fact that the properties belong in law to the Province of the Church of Central Africa – to which Kunonga does not belong. The bishops in Zimbabwe have long trusted that their very expensive counter-claims would be upheld by the courts on the obvious grounds that Kunonga has no case in law. However, in the upside-down world of Robert Mugabe’s Zimbabwe, the rule of law is now finally and incontrovertibly dead. A few days ago the courts ruled in favour of Kunonga and Kunonga has now started to evict families of non-loyal (to him, that is) priests from their houses and churches. He and his violent henchmen are now moving across Zimbabwe claiming land and property. They are backed by the police who have shown themselves ready to use violence. This is not a church issue – especially not simply an ‘Anglican’ issue. Nor is it a religious matter. It is a human rights matter and concerns the rule of law. I have observed many times before that until the rule of law is established in Zimbabwe nothing is sacred and nothing is secure. Anyone who wishes to might email their MP or the Foreign Secretary to ask what the British Government is doing to object to the Zimbabwean Government or to consult other governments or bodies such as SADC as to a response. An Anglican priest in Zimbabwe and his family have been evicted from their home by priests loyal to excommunicated bishop Dr Nolbert Kunonga. Others across the diocese have also been ordered to leave. The Revd Dzikamai Mudenda at Mabvuku, his wife and their extended family, were forced to leave St James Mabvuku in Harare in the wake of a High Court judgement that Dr Kunonga had interim custody of church properties. Other priests living in parish rectories have received stamped copies of the High Court judgment from supporters of Dr Kunonga who, in one case, were accompanied by the police. The priests, including Friar Joshua from Bishop Gaul College, have all been told to move out. The Rt Revd Chad Gandiya, Bishop of Harare, said yesterday that alternative accommodation has been found for Revd Mudenda and are preparing for the eviction of their other priests. A recent judgment in Zimbabwe’s High Court that upheld Bishop Chad appointment as Harare’s bishop also gave Dr Kunonga custodianship of all church properties—ones that actually belong to the Church of the Province of Central Africa. The Anglican Church in Zimbabwe has been under attack from the excommunicated bishop, Dr Nolbert Kunonga, since 2007. Kunonga, with the support of police and henchmen, has seized CPCA church property and used violence and to break up church services. In a recent media interview Dr Kunonga was quoted as saying he aimed to control the 3,000 Anglican churches, schools, hospitals and other properties in Zimbabwe, Zambia, Botswana and Malawi. The General Election is now well under way in the UK. The three major parties (and some of the others) have launched their manifestos and the media are churning out words and graphics like there is no tomorrow… which there won’t be if some parties get their way. The people I have spoken with in the last couple of days are smitten with a bewildered apathy that is sceptical about the content within the rhetoric of the party leaders and spokespeople. However, whoever wins the election, there won’t be any vast ideological change in the life of the country. Contrast our apathy and cynicism with that of another country with which I am familiar and have close links: Zimbabwe. The rule of law is simply disregarded under Robert Mugabe. 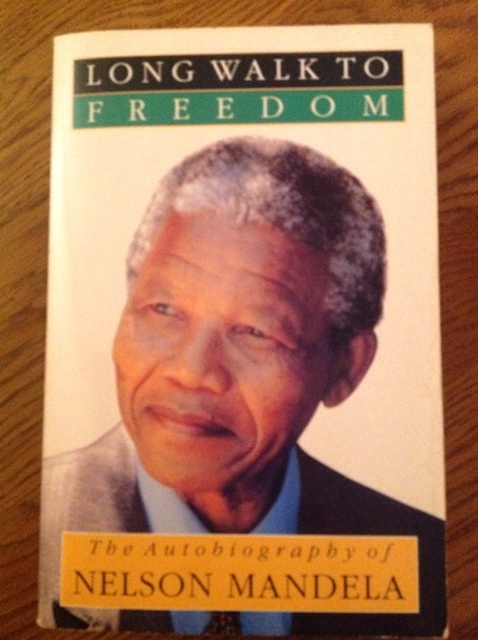 He may be recognised as ‘the Liberator’ by some Africans, but he has gone on to preside over the ruin of his country and the oppression of his people. The Anglican Church in Zimbabwe has borne the brunt of targeted violence and persecution for many years. The corrupt ex-Bishop of Harare, Dr Nolbert Kunonga, has been excommunicated by the Anglican Communion and is not recognised as an Anglican Bishop. The same goes for Elson Jakazi in Manicaland. Yet, despite court rulings in favour of the Anglican Province and dioceses (in relation to property and freedom to worship), Kunonga intimidates faithful Anglicans and gets backing from the police. So much for the rule of law. Our experience over the last two weeks is that the persecution seems to have intensified. Police are openly telling our people to attend Dr. Kunonga’s services only and continue to prohibit them from worshipping in their churches as per Judge President Makarawu’s judgment and Justice Bhunu’s judgment of the 3rd March 2010. The former allowed for sharing of church buildings for worship until the courts give their final judgment on the matter and the latter endorsed that judgment. Whereas in the past some of our congregations used to hold their services outside of their church buildings, the police are driving them away telling them that they cannot meet outside anywhere near the church buildings. We are completely baffled by the behavior of the Zimbabwe Republic Police in this matter. We have persistently asked why they are being used to prop up Dr. Kunonga by actively telling people that our church properties belong to him and therefore our members should attend his Church services only. Nobody has given us any answers. We continue to raise our grave concern over the police partisan involvement in the affairs of our church, abuse of our rights and disregard of Court Orders and Rulings. We also continue to ask; Who will police the police? Have they officially become a law unto themselves? To whom can we turn for help? Who will listen to our plight? Police went to St. Mark’s Church, Ruwa and drove our members away from both the church and church premises. When the congregation decided to meet at the priest’s house the police prohibited them from doing so. What right do they have to stop even this? The priest of this church received a text message from Kunonga’s priest telling him not to use the church or else “what they did at St. Faith’s Church, Budiriro will happen to them”. St. Faith’s Church, Budiriro is where riot police tear-gassed our people on a Sunday morning and then followed it up on a Thursday afternoon with tear-gassing Mother’s Union members who were worshipping away from the church in the open air. This is further proof of that Dr. Kunonga’s priests are working in cahoots with the police. Our Cathedral congregation was told by the police not to meet anywhere near the Cathedral next week or else they will face the wrath of the police. At Holy Trinity Church, Ruwa acting Officer-in-Charge assistant Inspector Ngoshi and Sergeant Major Chibaya force number 044621A drove our congregation out telling them that they had orders to stop their service because they were to leave the Church to Kunonga’s group even though he hasn’t got a single member in that area. At St. Alban’s Church, Chiweshe where I had gone for a Confirmation Service- the church doors were welded from inside and so we could not go in as we had intended. We only managed to remove a pin on one of the hinges but could not go in. As a result we had our service in the open air. Rev’d. Mangava, Kunonga’s resident priest/untrained teacher called the police telling them that we had broken into the church. Police arrived just before the end of our service only to find a pin that had been removed and nothing broken. For that, about six people including the two priests who were with me had to go to Glendale police station to give evidence – a process that took forever. I followed them. No charges were brought against them but we reported the damage that was caused to our church building by the welding of doors and other devices used to prevent us from going in. We await a court hearing. What’s amazing is the ease with which even Dr. Kunonga’s priests call the police, tell them what to do and how they in turn easily comply. A number of our congregations are using other denominations church buildings (we are very grateful for their generosity) while some use school buildings and others continue to meet in the open air. Thank you for your messages of solidarity and assurances of your prayer support. We don’t lose heart in spite of all the challenges we are facing. This is the tip of an oppressive iceberg. It puts the niceties of our UK election in perspective, but also compels us to recognise the importance of valuing democracy, not taking for granted the rule of law, and taking responsibility for shaping our own country’s future. Today I leave for just over a week in Zimbabwe. On the phone last night my daughter asked me why I am going there again. Another friend asked me if I ever go anywhere normal. How rude of both of them! A bit of history might be useful, starting with the recent political and economic situation and following on with the story of the Anglican Church in Zimbabwe in the last decade. Then the reason for my visit will make more sense. I will be brief and run the risk of giving an incomplete and subjective survey. When Robert Mugabe became President of the new Republic of Zimbabwe in 1979 he was a hero. Even Ian Smith, the deposed white Prime Minister of Rhodesia, commented positively on the early days of Mugabe’s rule. As the decades went by, people became frustrated with the lack of progress in some areas of economic life and Mugabe resorted to a disastrous redistribution of land from white farmers to black indigenous ‘war veterans’. The violence and injustice of the methods used (even if the need for the redistribution was acknowledged) turned the world against Mugabe, who then became increasingly extreme in his opposition to the West that was now isolating him politically and economically. Apart from genocidal slaughter of the Ndebele, corrupt fiddling of elections, disastrous economic policies and a victim complex that allowed everybody in Zimbabwe to suffer other than himself and his cronies, he reduced his once thriving country to a ruin. Last year, having stolen the election, he oversaw starvation, cholera, rampant inflation (they stopped counting at 231,000,000%) and almost total unemployment. The world watched in disgust as this breadbasket of Africa became a basket case. When I was here two years ago inflation was a mere 10,000% and we thought it couldn’t get worse. There were power cuts that went on for days, water stopped being pumped, schools couldn’t function and the economy packed up. Then Mugabe reluctantly acceded to a Unity Government, bringing in the MDC leader, Morgan Tsvangirai, as Prime Minister. This was a risky move and invited the suspicion of a worried ZanuPF elite and the charge of treachery from elements of the MDC. Yet this single move is probably responsible for the turn-around in Zimbabwe’s fortunes that is now evident. The Zim Dollar is dead. Now the main currency is the US Dollar, but other currencies are also legitimate (Sterling, the South African Rand, the Euro). Allowances being paid to workers (instead of salaries) have allowed work to resume. Supermarkets are full of produce, transport is working again, life has re-started for many people. Yes, there are still massive health problems and serious questions about management of the economy; the rule of law has yet to be re-established and justice restored; the life expectancy of this HIV/Aids-devastated country is still in the mid-30s for both men and women; many ordinary people do not find it easy to get hold of US Dollars and food programmes are still needed. But the schools are open again, teachers are teaching, factories are beginning to open again and trade is resuming. Within that politico-economic context the Anglican Church had a particular role to play. Opposition to Mugabe’s cruelties and insane economic policies was led by the Roman Catholic Archbishop of Bulawayo, Pius Ncube, until he was compromised by the CIO (secret police). The Anglican Church had been rendered impotent by its own internal scandals – principally the election of Nolbert Kunonga as Bishop of Harare in (I think) 2002. Kunonga was a Mugabe henchman who was rewarded for his loyalty with a formerly white-owned farm. Kunonga was a disaster of epic proportions who regarded the Church (and its assets) as his personal property and managed to prevent the Anglican Church offering a coherent opposition voice to Mugabe. It was only in 2007 that Kunonga (and the newly-elected Bishop of Manicaland, Elson Jakazi) made a wrong move, was excommunicated from the Province of Central Africa and regarded as persona non grata by the Archbishop of Canterbury and the Anglican Communion. The Church is now re-building its effectiveness across the country, but it is far from out of the woods. Despite numerous court rulings, Kunonga still holds onto the assets of the Diocese of Harare and (although it looks as if this might be changing) is backed by the police. So, why am I bothered? The Diocese of Southwark is divided into three Episcopal Areas: Kingston, Woolwich and Croydon. Each Episcopal Area is linked with one of the five dioceses in Zimbabwe (Harare being linked with Rochester in England and Masvingo with Southwark Cathedral). When I became Bishop of Croydon in 2003 I walked straight into the link with the Diocese of Central Zimbabwe and its bishop, Ishmael Mukuwanda. I visited Gweru with my wife in 2004, then took a group of 20 for a two-week visit in 2007 – a visit that was fraught with difficulties including constant harassment from the secret police and misrepresentation in the Zimbabwean media (and, subsequently, across the world via the Internet). The Croydon-Zimbabwe Link Team does fantastic work partnering parishes in my Episcopal Area with parishes in Central Zimbabwe, raising funds for very practical projects in Central Zimbabwe aimed at securing long-term growth and financial self-sufficiency for the diocese. We pray for our brothers and sisters in Zimbabwe daily and weekly in our churches and we know that we are prayed for, too. This is a relationship that has grown through testing times – one that has mutual benefits and is carefully trying to avoid being characterised as a donor-receiver relationship. I am going out to Zimbabwe from 3-11 August to visit the bishop (who is now a very good friend), to catch up on projects and people, to see for myself what is happening in the country, to do whatever I am asked to do while I am there and to discuss future direction and priorities. Maybe the impressions gained during hard times will now be revised – or maybe not. But, at least I will see for myself and not have to rely on third-hand news reports. I am not sure whether or not I will be able to blog from there or not. I am not sure about broadband internet availability. So, it is entirely possible that I will be publishing a large number of posts in one go when I return. We will see.